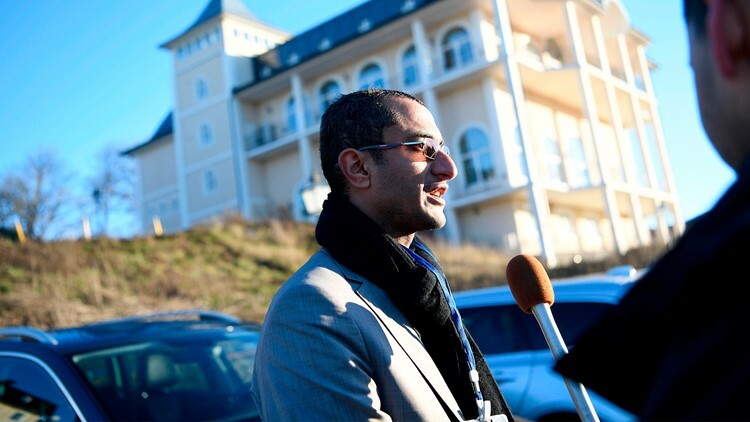 Saelem Mohammed Noman Al-Mughalles, a member of the Huthi delegation, gives an interview in front of Johannesberg Castle in Rimbo, 50km north of Stockholm, Sweden, on December 5, 2018, where peace talks on Yemen are expected to take place. U.N. officials said they don't expect rapid progress toward a political settlement but hope for at least minor steps that would help to address Yemen's worsening humanitarian crisis. Yemen's warring sides agreed to a broad prisoner swap Thursday, sitting down in the same room together for the first time in years at U.N.-sponsored peace talks in Sweden aimed at halting a catastrophic war that has brought the country to the brink of famine. 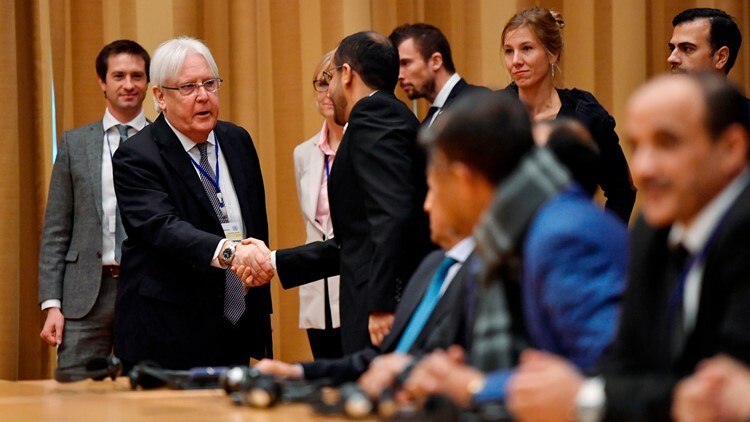 UN special envoy to Yemen Martin Griffiths (L) shakes hands with Yemeni delegates during the opening press conference of the Yemeni peace talks at Johannesberg castle in Rimbo, Sweden on December 6, 2018. 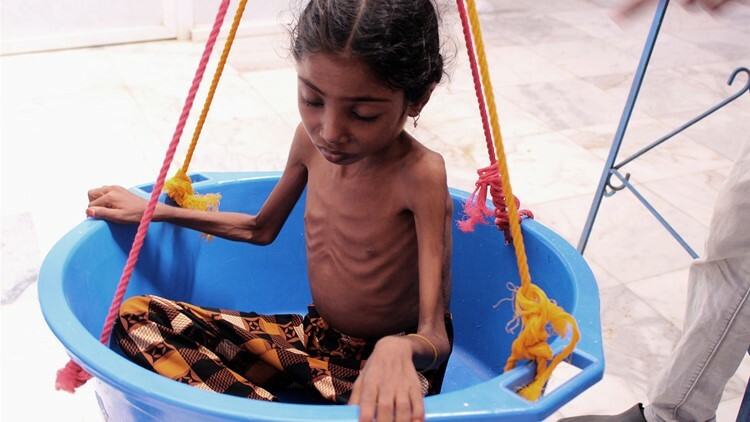 A Yemeni child suffering from severe malnutrition is weighed at a treatment centre in a hospital in Yemen's northwestern Hajjah province, on October 25, 2018.